Give Your Pets Endura Flap For The Holidays This Year! Pets are part of the family for most of us. I know they are for my family! The only problem is having to get up and down to let them out of the house all of the time. This is especially true for someone with disabilities or simple back problems. My dog Cassie is kind of a pain when it comes to going outside. She wants in and out all day long! Endura Flap is here to help. This “doggie door” (actually for any kind of animal) works so great for their freedom to come and go as they please. Give your fur-baby a great holiday gift this year! Our animals deserve their own Christmas presents and this would be perfect! 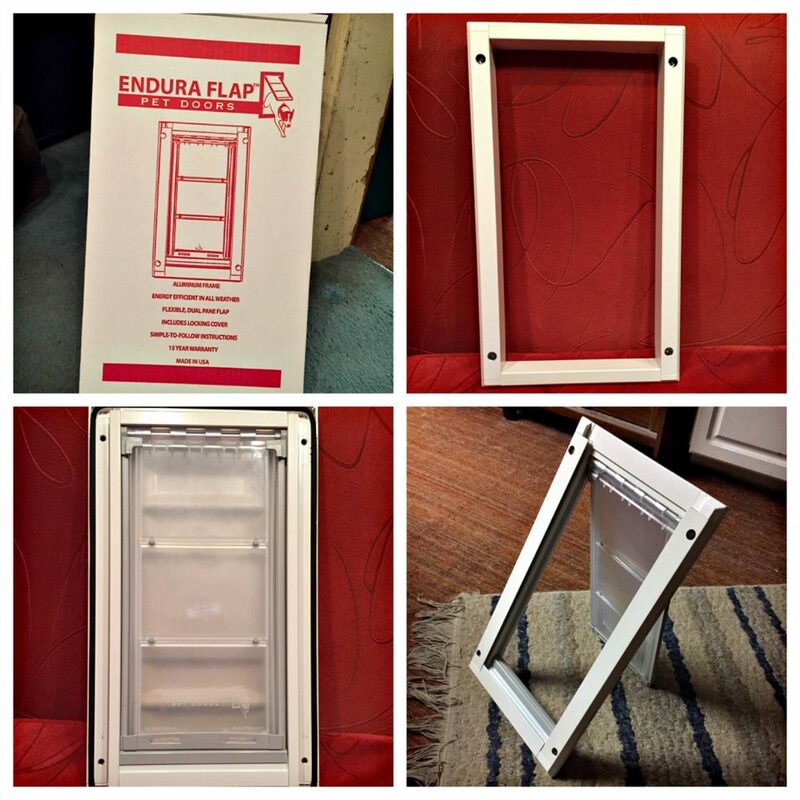 Endura Flap is an all-weather pet door that provides the freedom for any animals. Imagine how easy it would be for your dog, cat, pig, or whatever to come and go whenever they want to. My dog smells an animal go by the house and decides she needs to get outside, like NOW! This happens so many times throughout the day, it gets annoying. This pet-door works great for this. Now I can sit and type on my computer without having to get up and down every couple of minutes to let the dog out. The Endura Flap that I chose was the medium, white, single flap door. However, they have a variety of colors and sizes to choose from. From small to extra large and white, bronze, and tan, you will find something to please everyone. It has an aluminum frame and a flexible, dual flap. It also has a locking cover that’s included, simple to follow instructions and even a 15-year warranty! It’s energy efficient in all kinds of weather, which is something I need living in Omaha, Nebraska. We are getting ready for a snowstorm in the next couple of days, so this sealing pet-door eases my mind. I don’t have to worry about the wind or cold blowing through the flaps. This would make a great gift for anyone with pets, or even someone that owns a farm or cabin! My sister has a couple of pigs and she will be purchasing one of these soon. Previous Post: « Why The World Is Wet Shaving?